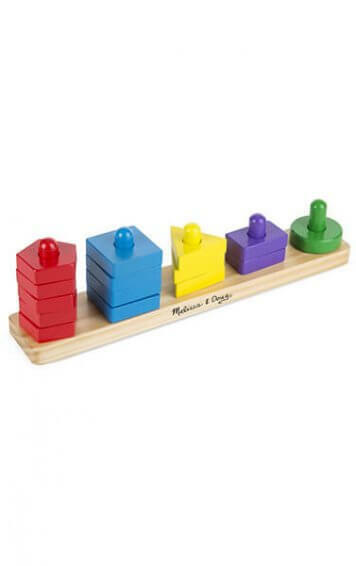 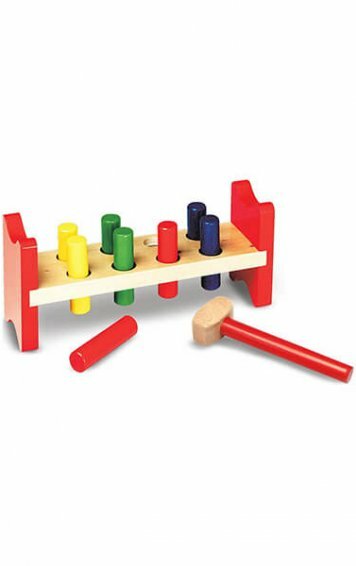 This wooden peg puzzle includes a piece for each of the 26 letters in the alphabet. 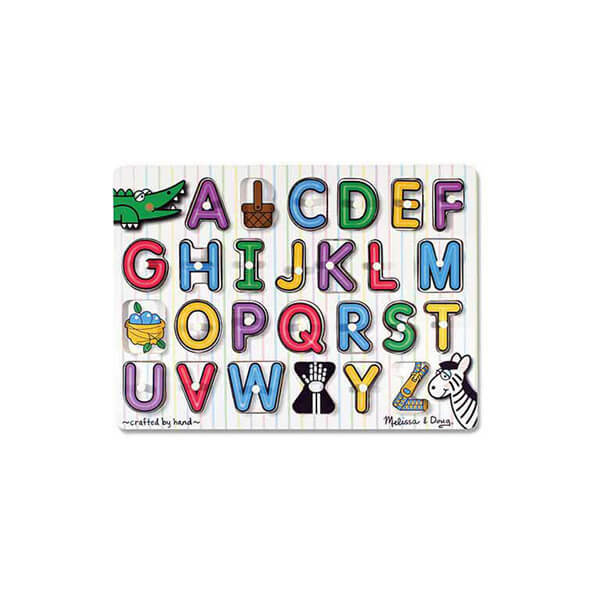 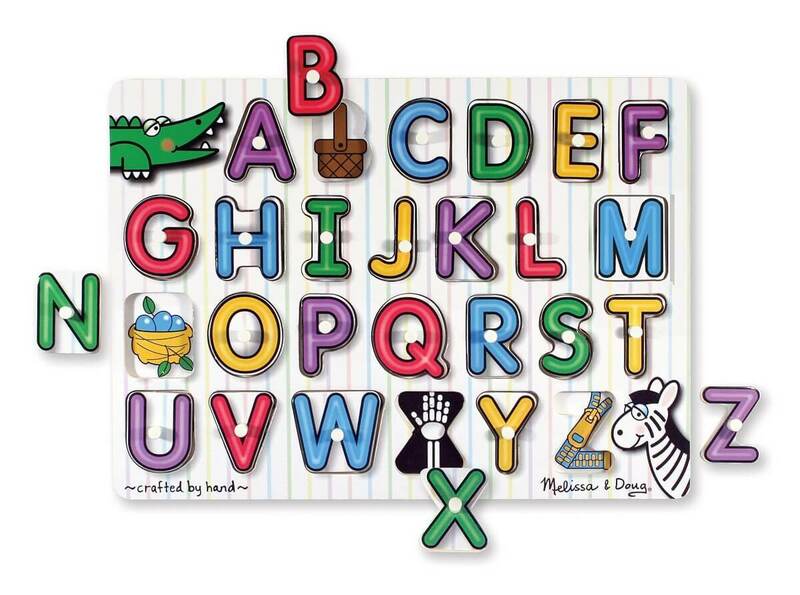 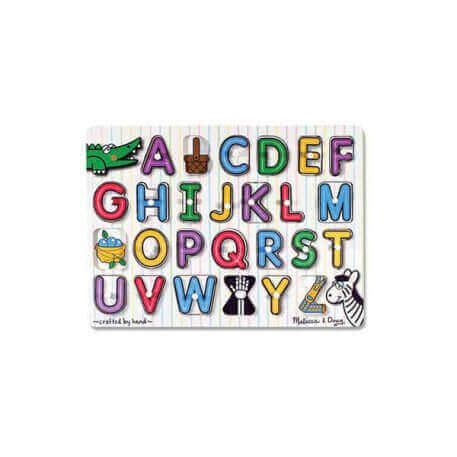 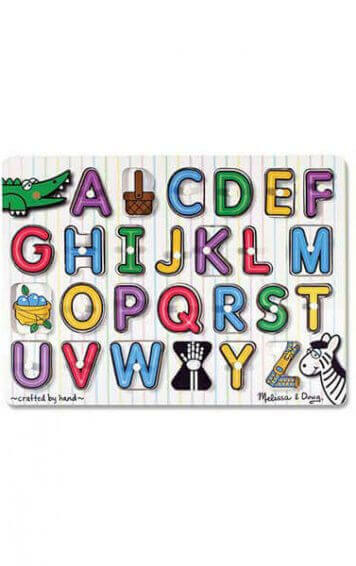 A colourful picture under each piece shows an image beginning with the same letter, helping to develop letter recognition and pre-reading skills! 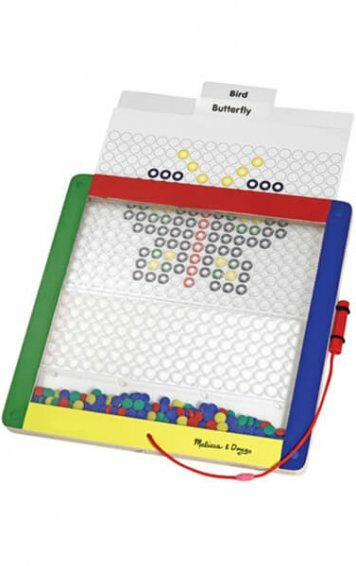 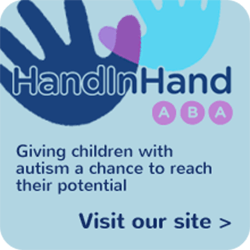 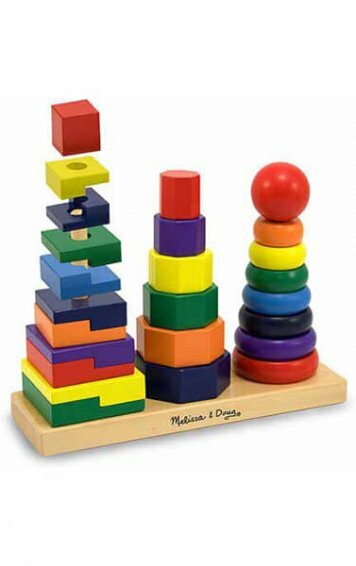 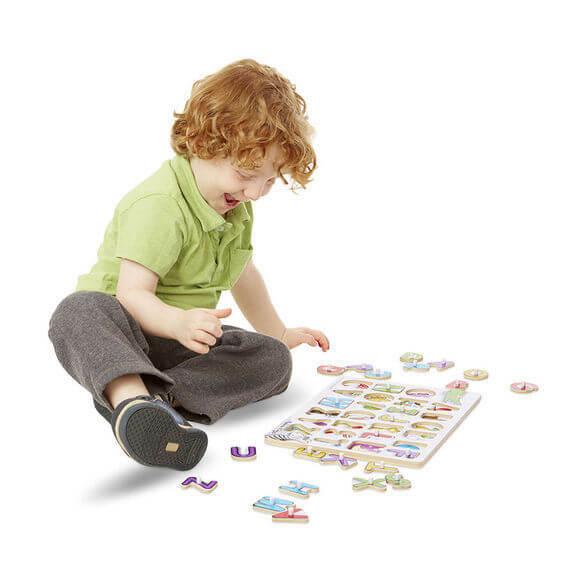 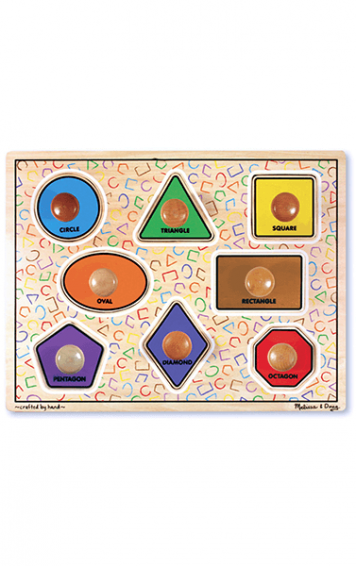 Also encourages hand-eye, fine motor and visual perception skills.